John Ferguson Smart | Mentor | Author | Speaker - Author of 'BDD in Action'. Serenity BDD provides a number of ways you can integrate your acceptance tests with JIRA. In this article, we look at a few of the more common ones, focusing on integration with Serenity BDD and Cucumber. You can also tell Serenity to add a comment in the JIRA issue containing the latest test result, and a link to the Serenity report. To make this work, you need to give Serenity some login details – you can put these in your serenity.properties file, or pass them in on the command line in your CI build. You also need to give a publically-accessible URL where the full Serenity report can be accessed. Again, this is best done on the command line in the CI server, unless you only want to refer to the latest Serenity report. By default, Serenity will replace any existing Serenity comments with the latest results. If you would prefer a new comment for each test run, you can set the serenity.jira.always.create.new.comment property to true. Sometimes, you may want to skip updates entirely for a given build. In this case, set serenity.skip.jira.updates to true. You may also want to update the status of your JIRA cards, based on the outcomes of your Serenity tests. For example, if a Reopened card passes all the acceptance criteria, if should trigger a Resolve Issue event and update the card status to Resolved. Note: this configuration needs a fairly mature CI/DevOps setup, and a reliable test suite, otherwise you may end up with a lot of notification messages. Serenity uses a simple DSL to determine what state changes it should make, based on the current JIRA state and the test outcome. Serenity considers the overall test result for all of the tests related to an issue, so if 4 tests pass, and one test fails, the overall result will be a failure. 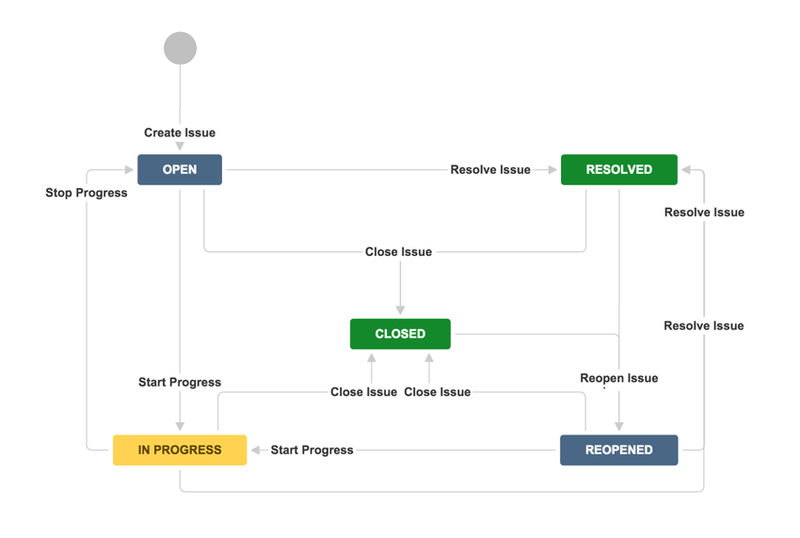 If you want Serenity to update your JIRA card statuses, you will need to activate this feature by setting the serenity.jira.workflow.active flag to true. You can even configure your own workflow. Just create a new file (say my-workflow.groovy) using the format shown above and place it somewhere on your classpath (for example, in src/test/resources). 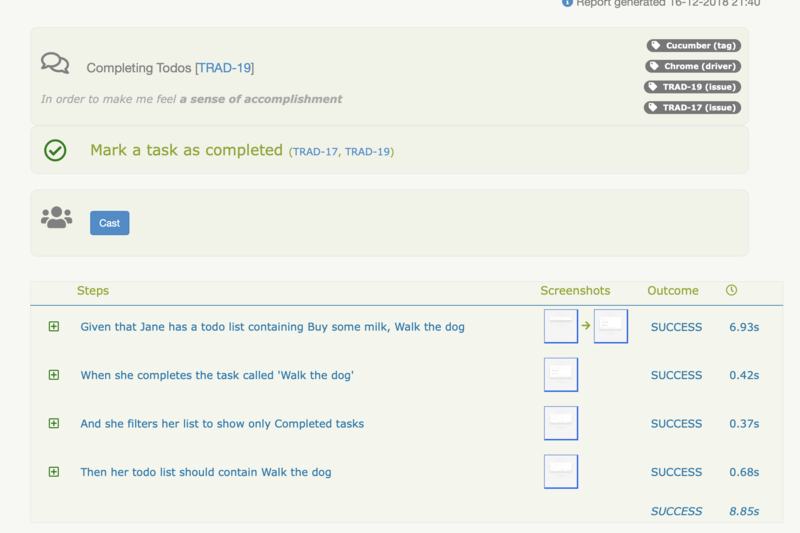 Then set the serenity.jira.workflow to point to this file, e.g. This is all you need to get started with Serenity/JIRA integration. Serenity JIRA integration goes from basic links to JIRA cards, to adding comments describing the most recent test results, right through to being able to update your card statuses based on the test outcomes.